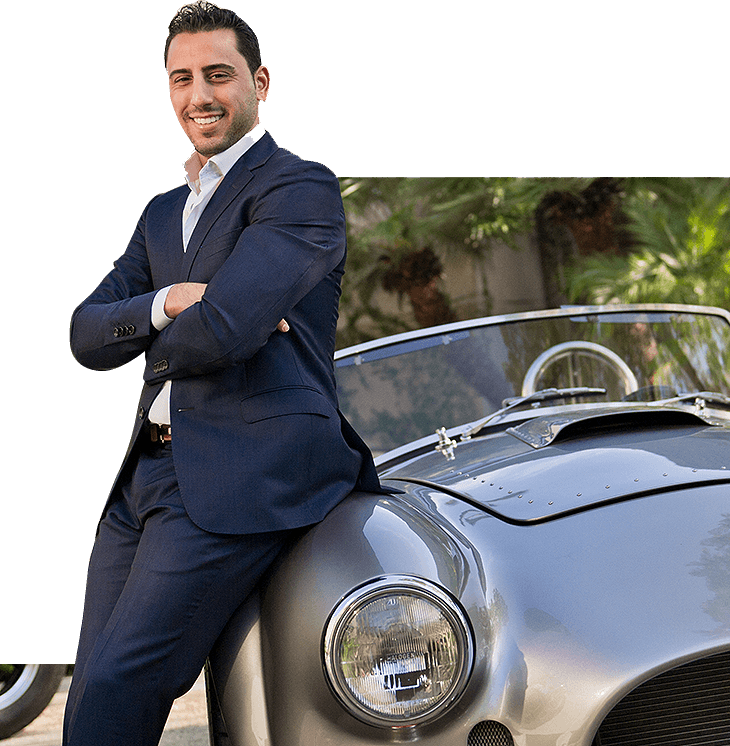 Josh Altman is one of the most successful real estate agents in the Beverly Hills and Hollywood Hills luxury housing market. 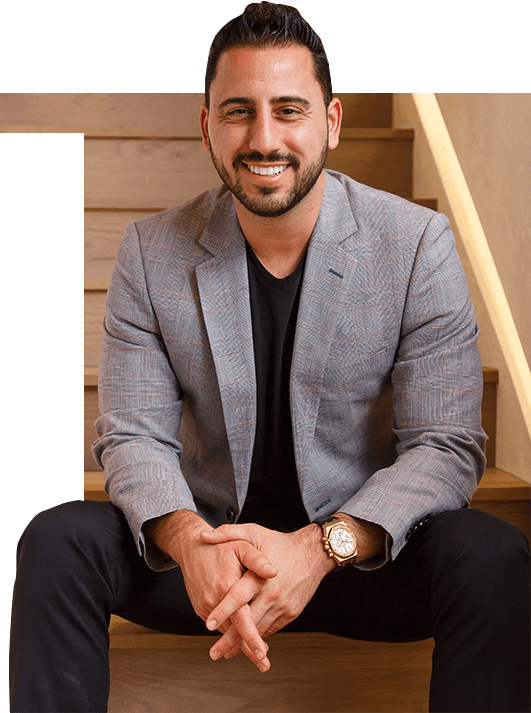 Josh Altman is one of the most successful real estate agents on the planet, specializing in the luxury housing markets of Bel Air, Beverly Hills, Malibu, and The Hollywood Hills. Josh’s clientele consist primarily of A-list celebrities, professional athletes, business leaders, and high net worth individuals from around the globe. Josh and his brother/partner Matt have sold over $3 billion worth of real estate including dozens of records. At any given time, the Altman Brothers have over 1 billion in active listings. Along with his brother Matt, Josh created the Altman Brothers. (www.thealtmanbrothers.com), a one stop shop that provides both buyers and sellers with their exclusive white glove VIP treatment. Josh is known for his ability to listen and understand his client’s needs allowing him to continuously deliver above and beyond their goals and expectations. His personable and professional character allows Josh to build and maintain solid relationships, which explains why his business has grown mostly from referrals and repeat clients. Altman has combined his dedication and experience to making a giant footprint in the high-end luxury market. Due to Josh’s impeccable track record of success he was offered a starring role on BRAVO TV’s Million Dollar listing Los Angeles. He’s currently filming season 11. His dynamic personality, humor, contagious energy, and love for the business have made him one of the most sought-after speakers on the global circuit. His unique background and rags to riches story allows him to connect with all ages from lecturing at universities and college campuses around the country to the most demanding executive board rooms. 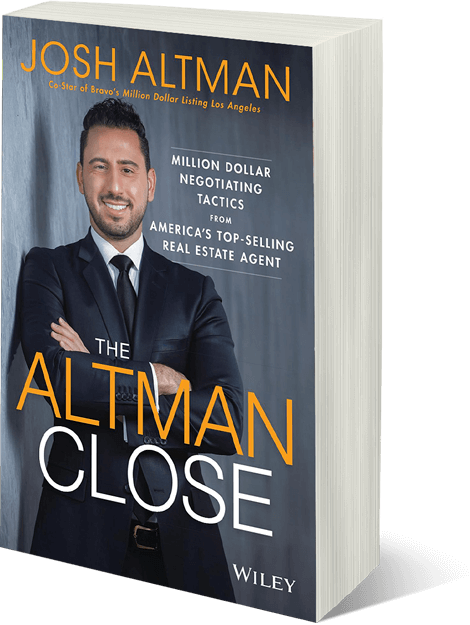 With over a decade of experience and his personal success in real estate, Josh Altman has become a household name when it comes to high end real estate. The breakout star of Million Dollar Listing LA has brought excitement back into the real estate business. Despite Josh’s busy schedule, he still finds time to give back to his community. Despite his busy schedule, Josh still finds time to give back to his community and is very passionate about volunteering his time and money to support numerous charities and causes. Josh grew up in Newton Massachusetts and attended Syracuse University where he was a kicker on the football team. While he was at Syracuse, the team won the Big East Championship two years in a row playing both in the Orange Bowl and Fiesta Bowl. After college Josh did a short stint in New York city before moving out west to pursue his dream of real estate. Josh has lived in Los Angeles since 2003 and currently resides in Beverly Hills with his wife Heather and their baby daughter Alexis.